Do you feel as if your weight loss efforts are in vein? You are following the diet rules precisely, eating ‘healthy’ foods such as foods without any taste or flavor, tofu burgers or low-fat garbage? There are foods, nutrient dense foods, that are delicious and will not only speed your fat loss and create optimal health…but they taste good too! Wouldn’t you love to know that you can eat foods that are fatty and lose weight? Keep reading to learn the most common myths about weight loss. How many times have you heard “calories in – calories out”? Of course, some people take in way too much food. This, however, is not the problem most have. In the majority of cases, It is the type of calories they are eating or the lack of calories they are eating. There is a vast difference between the way a 100 calorie candy bar is metabolized vs. 100 calories of broccoli. Many people try to limit the amount of calories thinking that is going to get them to the weight they desire…when in fact, it is adding on pounds. The body slows the metabolism to save much needed energy when it senses potential starvation and will do everything it can do preserve your fat. For years you have been inundated with the myth that eating fat simply makes you fat – seems like a no-brainer right? Wrong. This has been not only poor information from a weight loss perspective, but a dangerous one in regard to overall health. Dietary fat is not the problem. Eating a low-fat diet only makes you fatter. Why? Because once the fat has been removed from food, the food manufacturer’s had to make it tastier so they replaced the fat with added sugar and more, creating a high carbohydrate junky food. When you eat low-fat, you are eliminating the important component to weight loss: fat. Fat triggers the hormone leptin that signals you have had enough to eat and without it, you are ingesting a diet high in carbohydrates. This case scenario then sets your body up for low-level inflammation – the core cause of most illness, disease and weight gain. Make an attempt with every meal to reduce excess carbohydrates and increase your intake of healthy fats (such as: avocados, eggs, fatty fish, nuts, seeds, olive oil) and increase your lean protein. It does not matter how late in the night you eat. Studies consistently show this to be true. It is not about the metabolism slowing at night that can cause weight gain. Somewhere along the line the word got out that we should not eat past a certain time of night. What matters is the type of food along with portion control. However, very late night eating can cause a disruption in sleep patterns. If you get up during the night when you should be sleeping, then you are also disrupting the natural fat burn ketosis that normally takes place while you sleep. 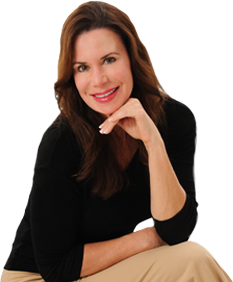 Lori Shemek, PhD, Health and Weight Loss expert, is the best-selling author of Fire-Up Your Fat Burn!